Emerging bassoonist Rebecca Krown is currently pursuing her Master of Music degree at The Juilliard School under the tutelage of William Short. She earned her Bachelor of Music degree from Temple University, where she studied with William Short and Daniel Matsukawa. Ms. Krown also studied with Nancy Goeres and Per Hannevold at Aspen Music Festival and School in 2015 and 2016. In 2014, she toured the United States with the National Youth Orchestra of the USA. Ms. Krown won the Lower Merion Symphony's Student Concerto Competition and performed C.M. von Weber's Concerto for Bassoon in F Major with the orchestra in 2014. In the same year, she was also Quakertown High School Chamber Winds' featured soloist, performing Eric Ewazen's Bassoon Concerto with the group. 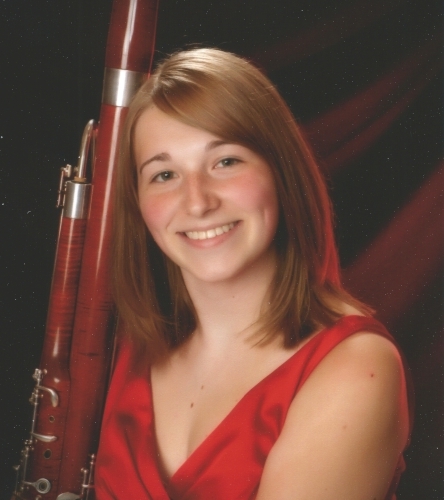 As a high school student, Ms. Krown studied privately with Philadelphia Orchestra bassoonist Holly Blake. In her free time, Ms. Krown enjoys riding her motorcycle, a Kawasaki Ninja 400.